the fact that they silenced her while she read a letter by the late Coretta Scott King. Yet nothing about it frustrated me more than looking at the list of the senators who voted to silence her by a count of 49-43. The senator we used to call “moderate” and “reasonable,” “centrist” and a great representative of my former home state of Maine, was on that list of 49. Susan Collins was not the only woman to vote to silence her colleague, but it was her name that lit my fuse. If women won’t let women do their work, what chance do we have of getting men to let us do it? You see, it was not too long ago that a female colleague silenced me by hijacking the end of a meeting. The circumstances were less public, but the assumption that a different voice should take priority was identical. Surprised, I did not try to get the attention of the gathering again. Cable news was not waiting for me outside the Senate chamber, as was the case for Senator Warren, but friends expressed their annoyance at what had transpired. I later learned that she doubted my capacity to lead the group simply because I did not match her assumptions about leaders. I was not tall, or loud, or strong. It’s true that I am neither loud nor tall. 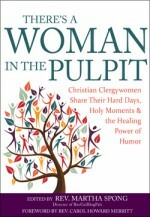 It’s also true that it’s not the first time that while leading this ministry, designed to offer resources and community for women in ministry, I have been undercut by a female colleague who made a remark about my height or my voice. I expect that kind of nonsense from men; a (tall) male colleague once joked that I should stand on a chair to be seen in a room full of pastors at a denominational meeting. Did he intend to undercut what I planned to say, or was he just horsing around? It didn’t matter. In that case I had a reputation, and others listened. In this more recent case, I must admit, I had to ponder the meaning of what I had been told. Why do women apply a standard to each other drawn from a masculine model for leadership, a model of height and volume as the measure of power and strength? Sisters, we need to do better. In a season when the world is in turmoil, and the church has struggles of its own, we have important work to do on behalf of Jesus Christ. We need to encourage, embolden, and inspire one another. to exhibit respect for voices and accents that may not sound like ours; for energy that may not be on the same wavelength as ours; for strength that may derive from patience, intellect, warmth, and perhaps particularly persistence. I continue to ponder the negating description offered to me. Although an intended compliment followed on the opening salvo, it never had a chance of landing. You don’t lift a sister up by putting her down first. And you might miss something important if you impose the power of your voice, or your vote, to end the conversation. 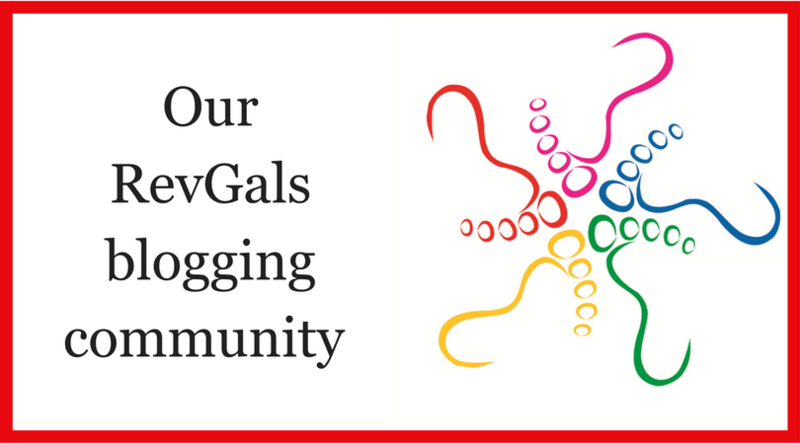 Martha Spong is the Executive Director of RevGalBlogPals, a writer, and a clergy coach. She stands 5′ tall, knits socks for anyone who asks for a pair, and is a verified ecclesiastical badass. Follow her on Twitter @marthaspong. What happened to you is deplorable. I am sorry for it. Being in the presence of your leadership has always been a powerful experience for me. I never had the sense that Collins was trustworthy, unlike former Maine Senator Olympia Snowe, also a “moderate” Republican. It feels more like playing both ends against the middle. Thank you for your words. It is disheartening to be not valued and surprised by ones we thought were allies. Blessings to you and your ministry. You are loved. You are worthy. You are valued. The female senators sadden me (and the silencing of Sen. Warren enraged me! ), but I get the institutional misogyny from whence it comes. It takes vigilance to rid oneself of it. I caught myself yesterday, watching a very tired-looking KelleyAnne Conway try to explain her Orange Master to the Today Show. I reached for my phone to tweet something snarky about how worn she looked, then stopped myself. If I don’t have something to say about the substance of her argument, well, best leave it alone. But that instinct to go for the appearance, rather than the substance… it sure runs deep. One must be constantly alert to the outdated modes and mores of one’s upbringing and culture. Let us be vigilant and Squad On!